CLAT 2018- What to do while you wait for the results? 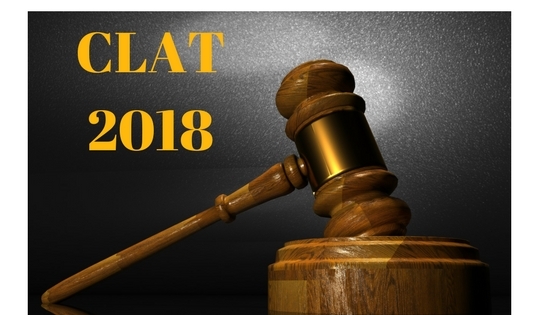 Home » Latest articles » Law » Results » CLAT 2018- What to do while you wait for the results? CLAT is the common law entrance test for admission into all 19 national law schools and the exam was conducted in the second week of May 2018. This exam tests the legal aptitude of the candidates. CLAT is conducted for both undergraduate and postgraduate programs. This time the exam was conducted by the Chanakya Law School and the college will declare the CLAT Results by the end of May 2018. The courses being offered are BA.LLB, BBA.LLB and B. Sc LLB. The total number of students selected for the undergraduate program will be 2312 and for postgraduate exams will be 604. Based on the number of students that appeared approximately 1 out of 20 students will make it. CLAT Answer Key is coming out on May 16 and our analysis says that the highest score would be around 160 and the cut off for best law schools would be around 130-135 and anything below 100 marks in the general category would be too less for selection. The answer key which comes out on 16th is provisional and the final answer key comes out on May 25. CLAT Results are coming out on May 29. You should have your registration login id and password ready for when you want to check the results. Check the results and your rank on the website and then download your score card and keep it safe for it will be used during the counselling process. There are different kind of lists which will be released this 29th and they are the merit list for all over India (the AIR ranks), state wise merit list, lists of candidates belonging to schedule castes, schedule tribes and other backward castes and last of all the list of differently abled students who are selected. CLAT Counselling procedure starts on June 5 and will go on till the last date of June or the first week of July. The options given to you when appearing for counselling are to lock a seat, shift the seat and withdraw a seat. Make an informed decision because once you lock a seat in any college, then you cannot move to a college which you prefer more in case a seat becomes available there subsequent to you locking a seat. When locking you have to pay a fee of Rs. 50000 and if the payment is not made to to the CLAT office, then you lose your chance and your name will be removed from the list of selected students. You have to pay even when you choose the shifting option. Shifting means that you are getting admission in a particular college, but not in the college of your preference so you wait and then you will be contacted if subsequently there arises a vacancy in a college which is higher on your preference list. The students who want to withdraw from the process later will have to do so before the given date. Even then Rs 10000 will be deducted from their payment of 50,000 and students who withdraw after the given date lose the entire amount of 50,000. • HNLU has 4 special seats reserved for foreign nationals which are exclusive of its seats for NRIs. Everyone was heard saying that speed was an important factor in this exam. It is usually said that speed should definitely be taken into account, but CLAT was never judged difficult because people didn't find time to answer questions, although experts won't be wrong in predicting that CLAT is going the CAT way as far as speed is concerned and people would have to start taking it seriously if they have the complaint that the exam was too lengthy. Students who do not face the challenge of speed will also have to be careful that speed comes with accuracy because speed without accuracy means nothing. The speed concern comes from the fact that the legal reasoning questions were long with principles which were pretty descriptive in nature. This time there were too many legal maxim related questions and most were a surprise because they weren't common maxims that an undergraduate entrant should be expected to know. Torts is the simplest law subject which is taught in the first year of the course and around 10 questions from torts makes it simple. Writs are also pretty easy and there were 5 questions related to the topic. Even the criminal law questions that were incorporated were doable if well prepared. The consitution questions were missing which is rare. These questions could have made the paper simpler because the constitution is taught in every law coaching institute and students extensively prepare for it, but to balance that some tough questions from legal GK were missing. The general knowledge questions are always hard to predict, but one need not have studied the GK of the last five years as suggested and predicted by CLAT experts and only focusing on 2016 would have been enough. This section would bring the cut off lower because all students would have found it equally tough, but this prediction does not apply to toppers. The difference between entrants who are genuinely aware of what is going on in the world and those who actually have to prepare and mug up will always be there. Because GK is something that does not need to be prepared for. This difference stays even after one becomes a lawyer. Those who stay abreast with what is going on in the world do better than those who are ignorant but that is a question of later. Even then it's a tip to keep in mind. Good GK is underrated. The logical reasoning section was scoring and will not make much of a difference in the ranks because all students fare equally in this section. This is unlike the GK section which becomes the make or break parameter. Many average students do really well in logical reasoning and many good students lose a lot of marks in GK. English is only a problem for entrants from remote parts and who come from Hindi medium schools because the level is simple. Although some students have a very slow speed when it comes to reading and that might become a problem in comprehension, but that is something tough to learn and should come naturally. This section will raise the cut off because it is pretty scoring. I am not a math lover and found the paper on the difficult side and a lot of calculation was involved, but the topics get repeated every year and expected topics such as work-time, profit-loss were there. This is our analysis of this year's paper. Wishing you all very good luck and hope the wait is worth it. Law, Management & Hotel Management Exam Preparation | Clear Law Entrance: CLAT 2018- What to do while you wait for the results? Read here the complete strategy on how to utilise the time between CLAT Exam 2018 and CLAT results 2018.